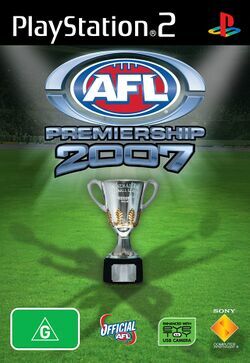 Game description: AFL Premiership 2007 is the official game of the AFL featuring all the teams rosters and stadium locations of the 2007 season plus new mission challenges. AFL Premiership 2007 puts you in the centre of the action and challenges fans to lead their team to the ultimate football glory. Key Features includeDynamic difficulty and in-game weather effects automatically... More adjust for a unique gameplay experienceEnhanced graphical detail including improved.